Vegan Kitchen can offer a wide selection of foods at very competitive prices for any event throughout the North East of England. No matter if you require catering for weddings, birthdays, corporate breakfast buffet or lunch, we can provide a buffet to suit your needs. Also mail order. We pride ourselves on our cruelty free, organic and eco friendly menu that has been developed over decades, our recipes are second to none. Our menu includes dishes from many cultures including Chinese, Italian, Indian and German, hundreds of products including pies, pasties, tarts, jams, cakes, curries, pastas and so on. Jesmond Cake Company can help you celebrate any occasion - we make birthday cakes for children and adults, christening cakes, novelty cakes, wedding cakes, cupcakes, cookies and cake pops. The cakes are dairy-free, egg-free and vegan, they can be gluten-free, soy-free and nut-free on request. We also offer cake decorating and baking classes. Whether you're vegan, vegetarian or just like great tasting Indian food! Karma Kitchen delivers each dish with love. Never compromising on quality, Karma Kitchen seeks to deliver a completely different Indian culinary experience, straight to your door. Select your favourite dish, place your order, and leave the rest to us! We deliver to different areas of Newcastle/North East throughout the week. You can also collect from our kitchen based in Newcastle city centre. Independently owned and operated, we specialize in vegetarian, vegan, and gluten free cuisine. Making delicious, homemade and affordable foods is our passion, and to do this we serve only the finest locally sourced ingredients.Head chef and owner Andy T specially designs the menus to suit a wide variety of tastes, taking into account the seasons to create amazing dishes that change throughout the year. We have three buffets available and everything is freshly homemade. Vegan cakes also available to order. 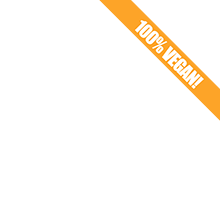 Exquisite Vegan Cuisine lovingly prepared and speedily delivered all over the north east! The Wildflower project aims to make plant-based, seasonal food, local art, live music and creative ventures more accessible in Newcastle. Profits are reinvested into improving the space, putting on events like free art exhibitions, subsidising food prices and more. Buffets for every occasion are available on request, designed especially for your event to be delicious and seasonal, can be themed. We can also make vegan celebration cakes to any specs, depending on what your vision is for your celebrations! We've made everything from simple and elegant sandwich cakes for the office buffet to large wedding cakes covered in freshly foraged flowers and air dried fruits. We can use gluten free flour on request. We aim to achieve healthy and appetising baked goods that are animal & environment friendly with no plastic packaging. Our vegan baked goods are currently available at festivals and events. We are a shiny, inde­pen­dent cof­fee shop and veg­gie café and we just love delicious home-​cooked veg­e­tar­ian food!! Our home­made cakes and tray­bakes are all vegan and we always have a vari­ety of gluten free options too. We pride our­selves on mak­ing up all our food fresh to order. We can provide small-scale private catering such as sandwiches or platters. For more than 6 people we require a minimum of 48 hours notice. We provide the wonderful public with a fantastic range of nutritious, natural, clean and tidy foods. Our menu is mouthwatering from beginning to end. I guarantee you will LOVE what we offer you! We offer Fresh Clean Healthy outside catering, just get in touch for prices whether business or pleasure. Durham's all veggie, and very vegan friendly, cafe, serving food such as tapas, salads, sandwiches, toasties, stews and cakes. We do the occasional outside order from time to time, offering a variety of options off our menu to the customer's requirements. Please get in touch to see if we can help with your catering needs. Durham's vegan cafe started way back in 2007 (then called 'One flew over the Coffee Cup') as a volunteer run coffee morning with the intent of providing the local, alternative community with a safe place to hang out and enjoy each other's company, catch up over vegan cake and coffee, and participate in some cool activities. Over the years, our cooking skills have developed but we are still a bunch of queer vegans running a monthly, pop-up cafe in Durham. We also do events under the umbrella of Equestrian Collective: Durham City DIY. You can usually find us at Empty Shop where we like dancing and eating pizza. Contact us for details of private and public events catering, along with bespoke cake design and making! Vegan catering. Operates at festivals and event.